Our smiles are an important part of who we are and help us communicate with one another. 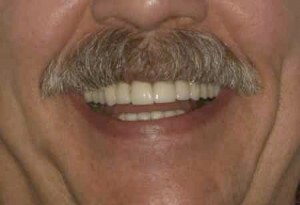 At Prosthodontic Associates, cosmetic dentistry is a major part of our practice. Despite how some dentists may advertise themselves as “cosmetic dentists”, the American Dental Association does not recognize cosmetic dentistry as one of the dental specialties. As prosthodontists, cosmetic dentistry falls under our scope of practice and is one aspect we receive specialized training in. We are trained in evaluating aspects such as color, contours, dental ceramics, occlusion (bite), and vertical dimension of occlusion (how tall your bite is and where it is positioned in your mouth). Additionally, we make sure to not just focus on aesthetics without considering the long term effects of cosmetic dentistry. 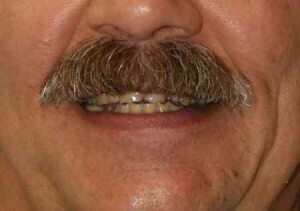 There can be a number of ways in which we can help you achieve the smile you desire. Treatments can range from simple in-office bleaching to more complex procedures such a veneers and even a full reconstruction. Depending on the position of the teeth, orthodontics may be recommended to align malpositioned teeth so as to avoid unnecessary procedures and to achieve better aesthetics than can be had with just veneers and/or crowns alone. I felt very welcome, the office staff were very friendly, So was Dr Jason Chong! He was very kind, polite, and explained the procedures, how it would be done, and when I would have them! He explained what the cost would be and we agreed on that! He seemed very capable, and understanding. He certainly is a specialist in his manner of work. Everything was to be perfect! Great!